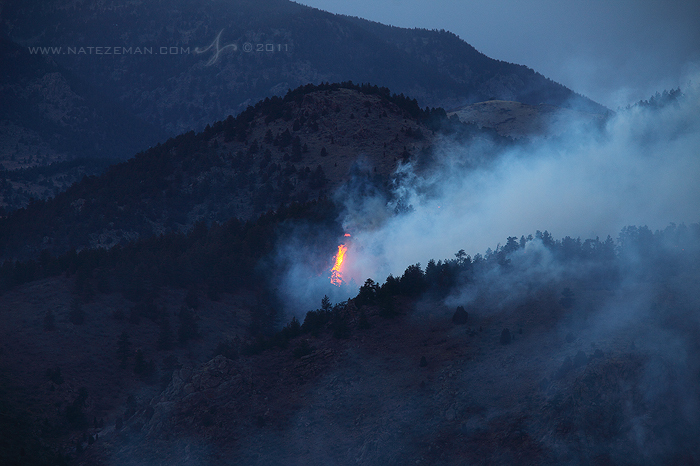 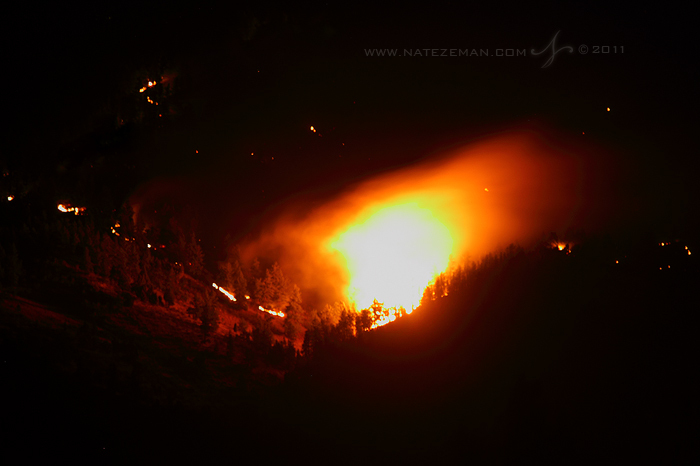 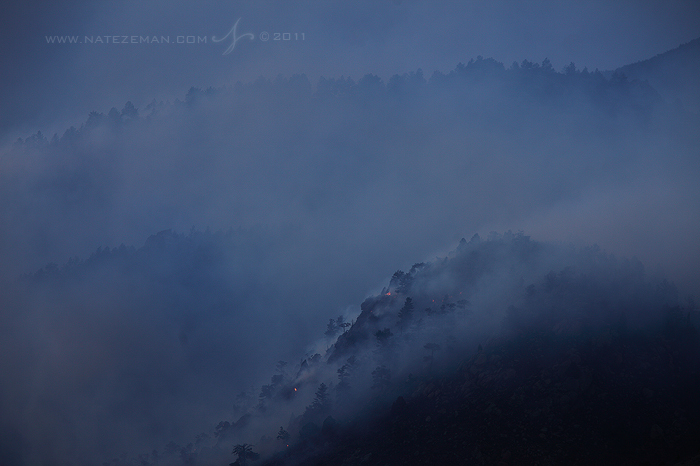 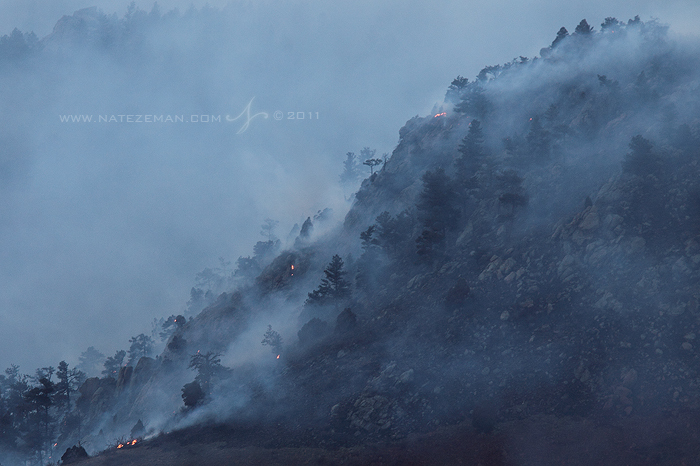 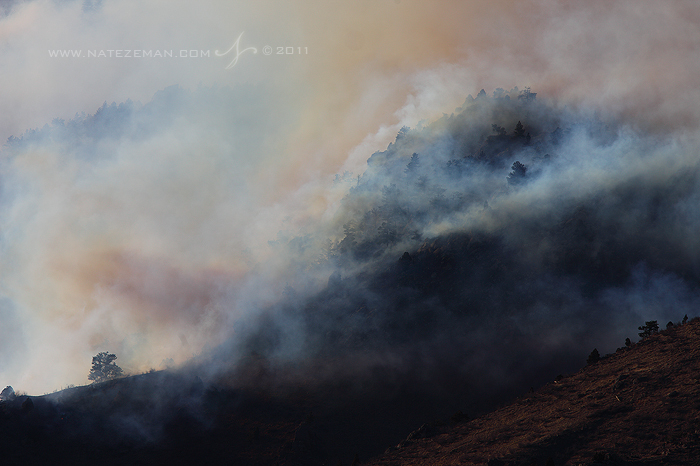 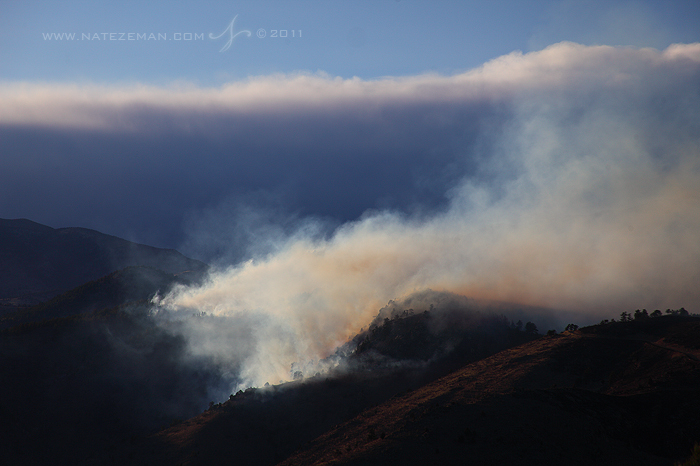 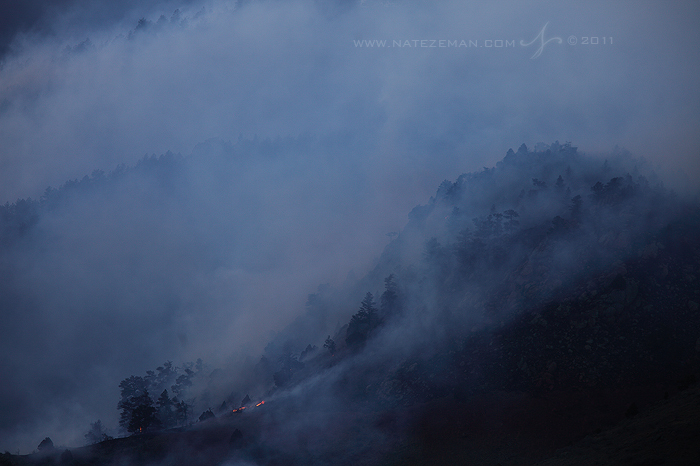 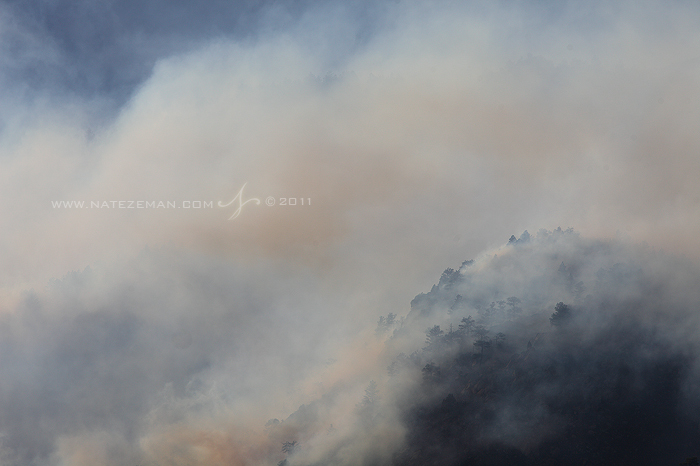 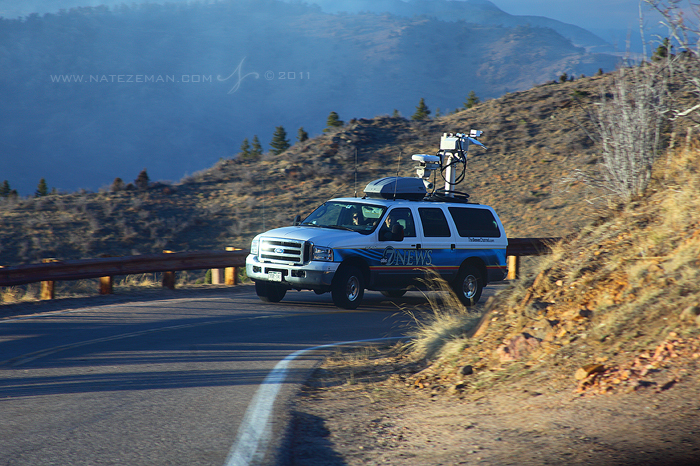 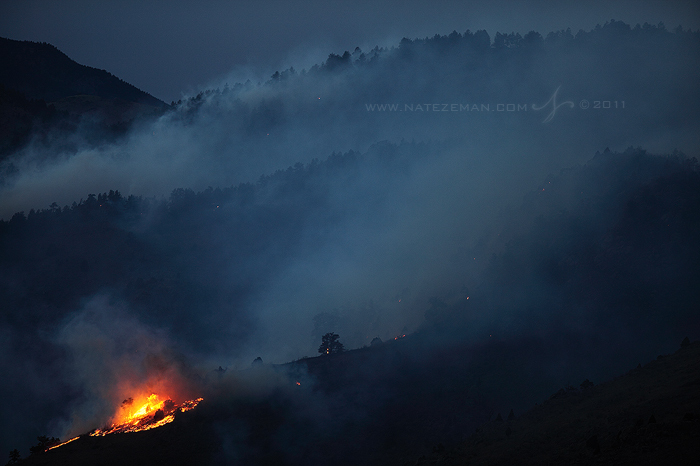 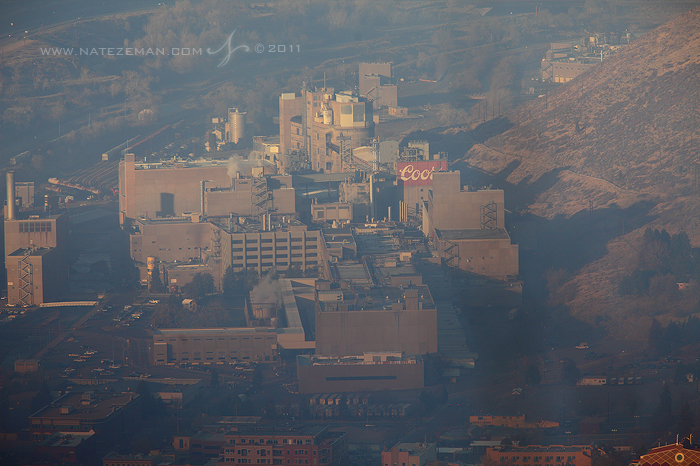 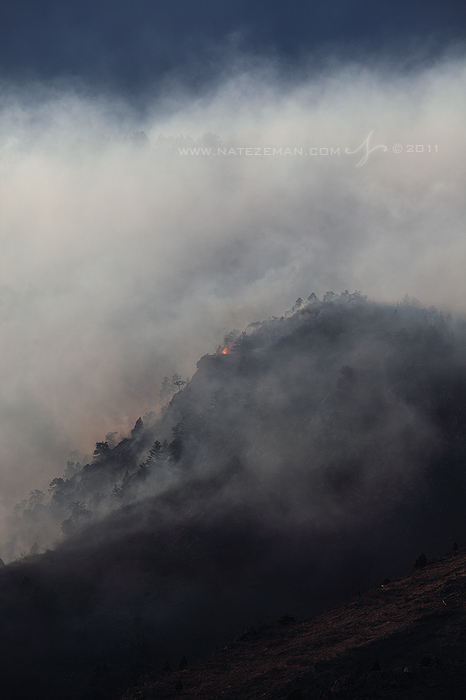 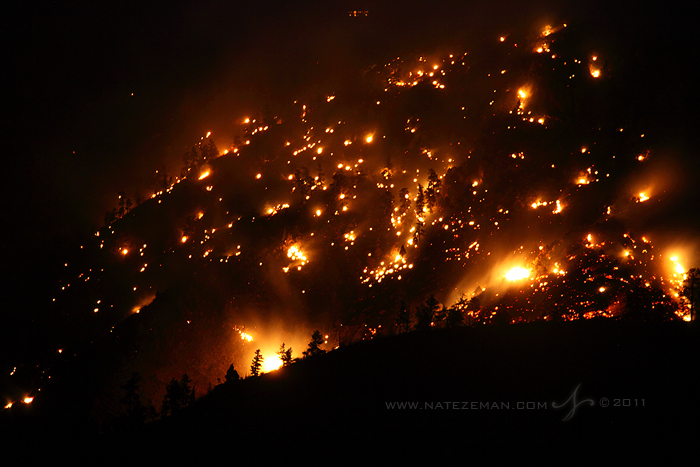 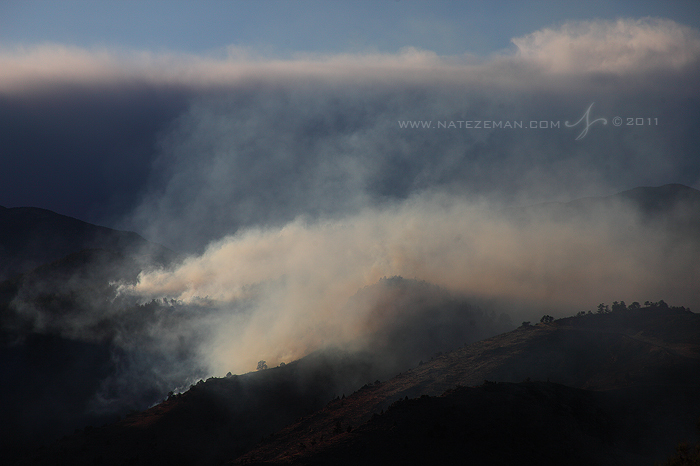 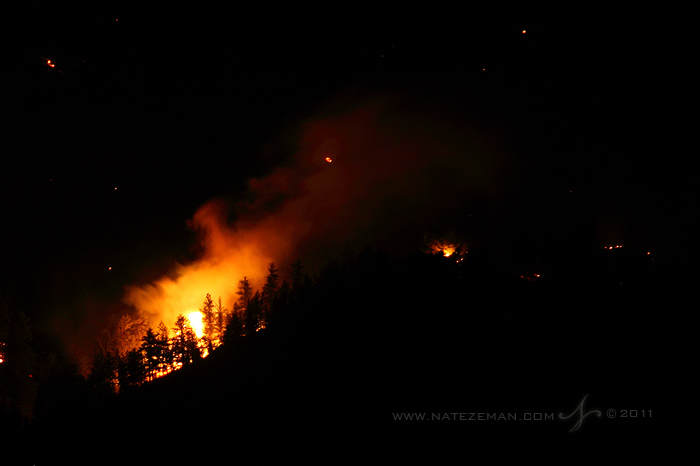 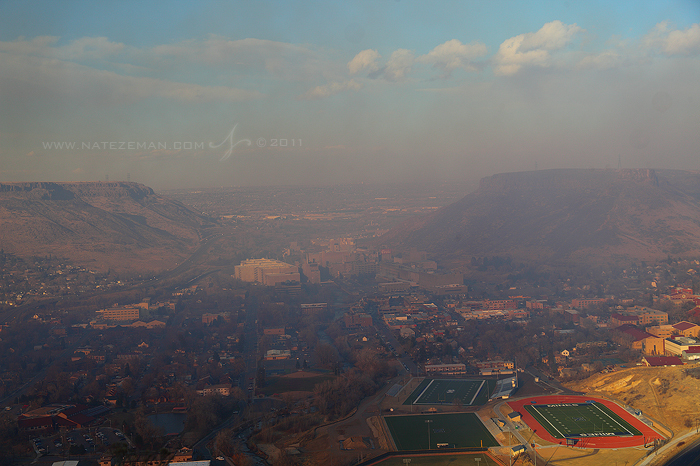 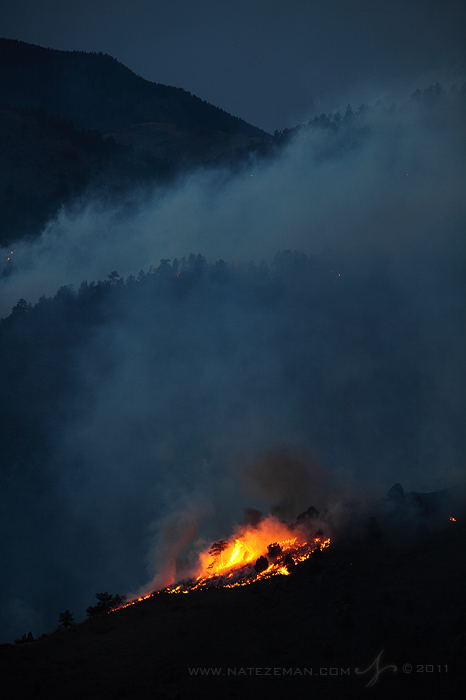 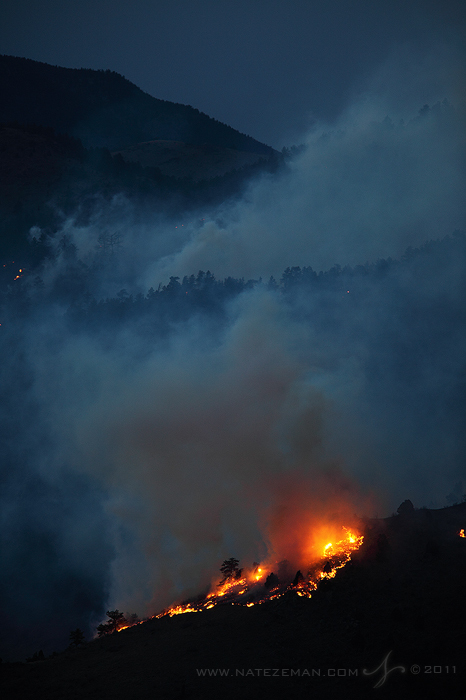 I spent my evening in Golden photographing the Indian Gulch Fire that has been burning for a few days now. 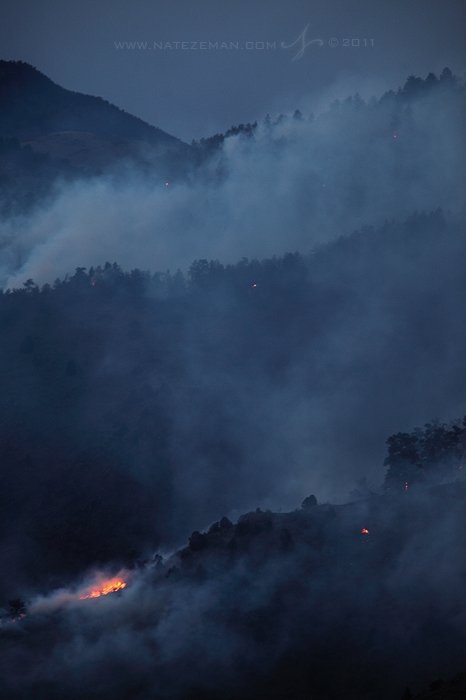 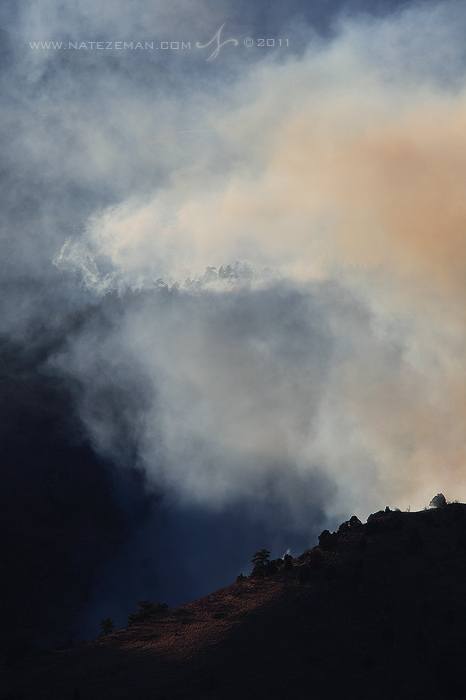 At over 1,500 acres, this fire is now getting dangerously close to homes and businesses. 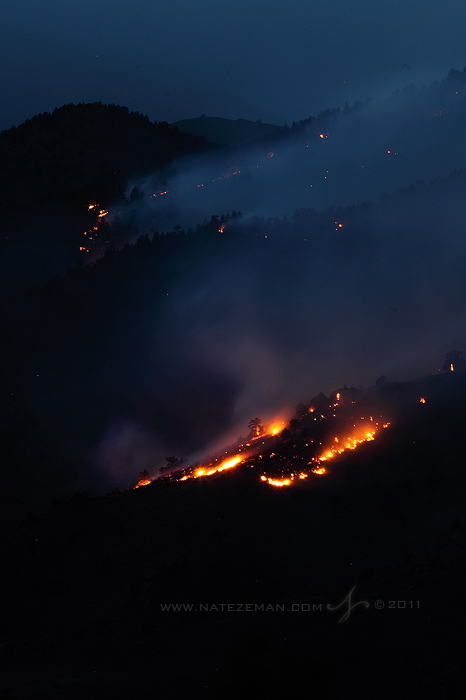 Light snow and rain gave firefighters a helping hand the night before. 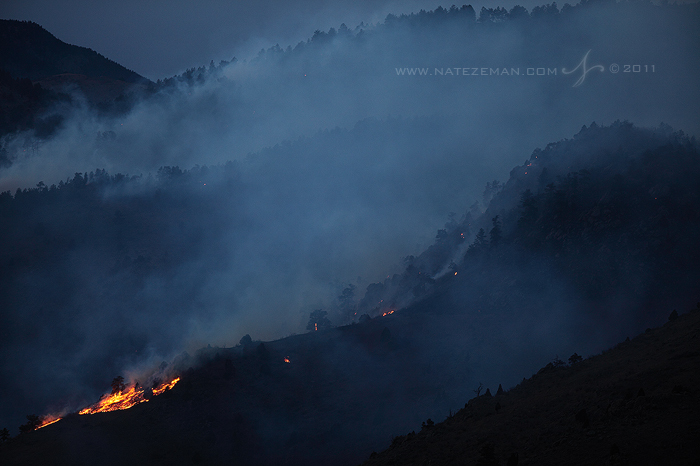 However, tonight there are wind gusts up to 75 mph, which, makes standing outside and taking photos nearly impossible. 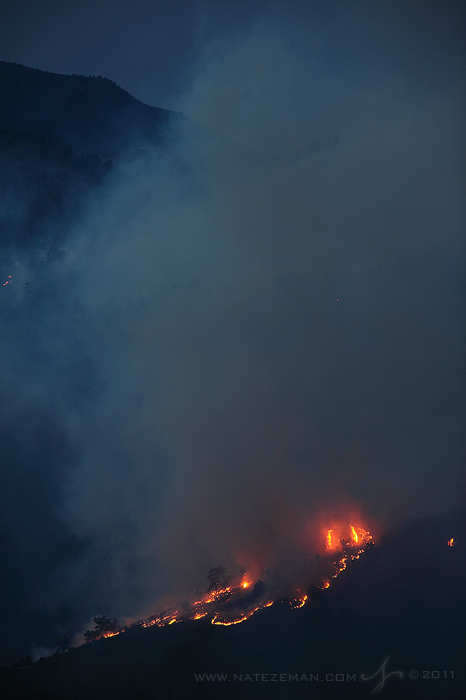 More importantly, though, these incredibly high winds have breathed new life into this inferno, which firefighters hope to contain before it gets any chance to devastate the homes around Golden. 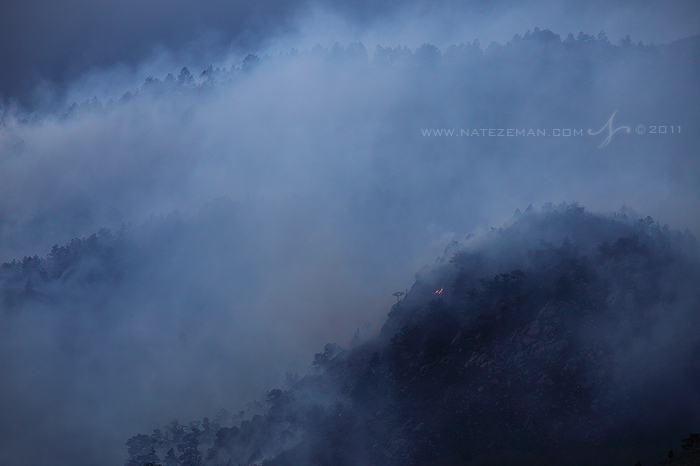 It was both amazing and humbling to watch nature's fury. 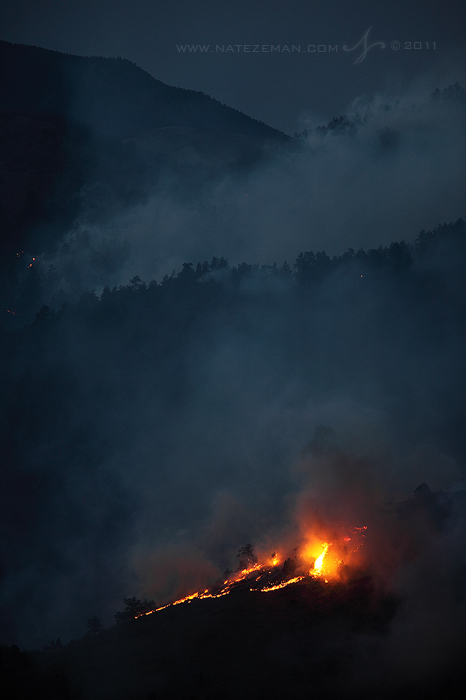 The blaze moved through the forest like the wind was on fire.